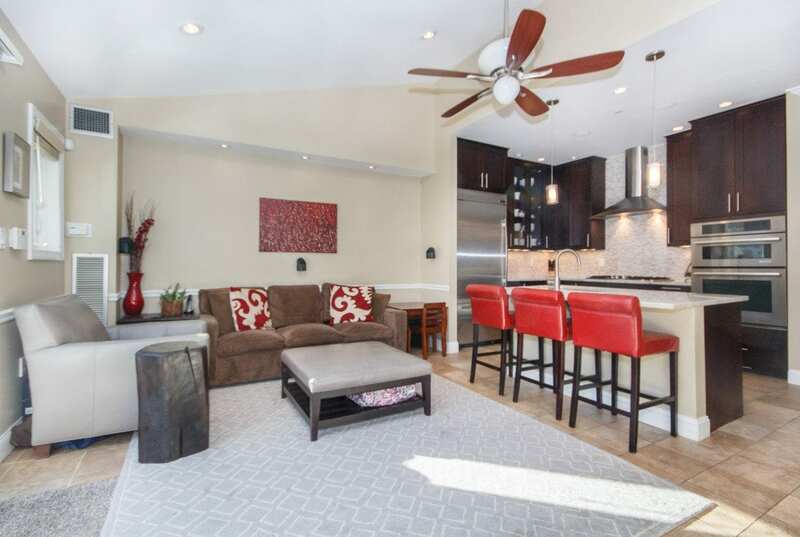 Spectacular 3 Bedroom, 2.5 Bath Townhouse with 2 Car Garage Parking at The Nautica! This wonderful home has been Meticulously Renovated to Perfection! Sweeping Front to Back Formal Livingroom & Diningroom with Custom Built ins! Impressive New Gourmet Kitchen/Great Room allows for Grand Scale Entertaining! The Ultimate Chef’s Dream Kitchen! Dramatic Designer Counter tops & Back splash! Abundant Custom Cabinetry right up to the ceiling! Top of the line Stainless Steel Appliances! Giant Island! New Serving Bar with Beverage Cooler and Liquor Cabinet! Hidden Storage & Media Closet! Sliders out to your Private enclosed Patio! A true City Oasis! Sunshine & Windows are Everywhere! Landscaped walkway leading to the garage. The second level boasts two Very Generous Bedrooms, a newly updated guest full bath and separate laundry! The Luxurious Master Bedroom Suite is Amazing! Enjoy having a small office at the foot of the stairs leading to the Enormous suite on the third floor with its own en suite Granite & Marble Updated bath with double vanity & soaking tub! Towering Ceiling Height! The deck off the Master has Breathtaking Views of the Harbor and the City Skyline! Custom Closets! Tons of additional storage in the unit! Two deeded, Garage Parking Spaces complete this Perfect in town Home! Close to Everything Boston has to offer, plus easy highway access, public transportation and close to the North End, Waterfront, Financial District, hospitals, shopping and the new Whole Foods! A True Investment Grade Property!